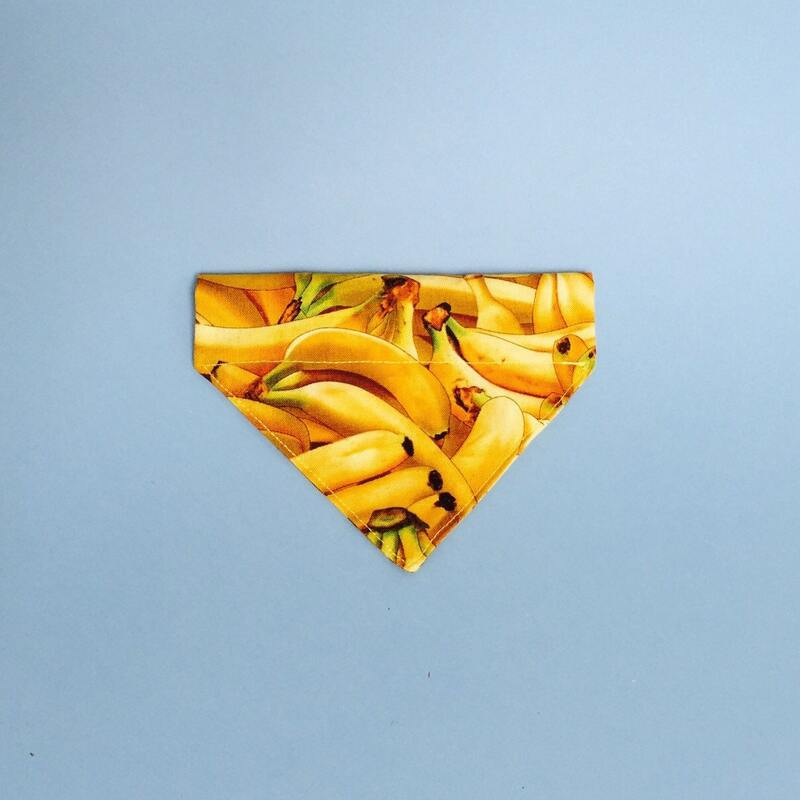 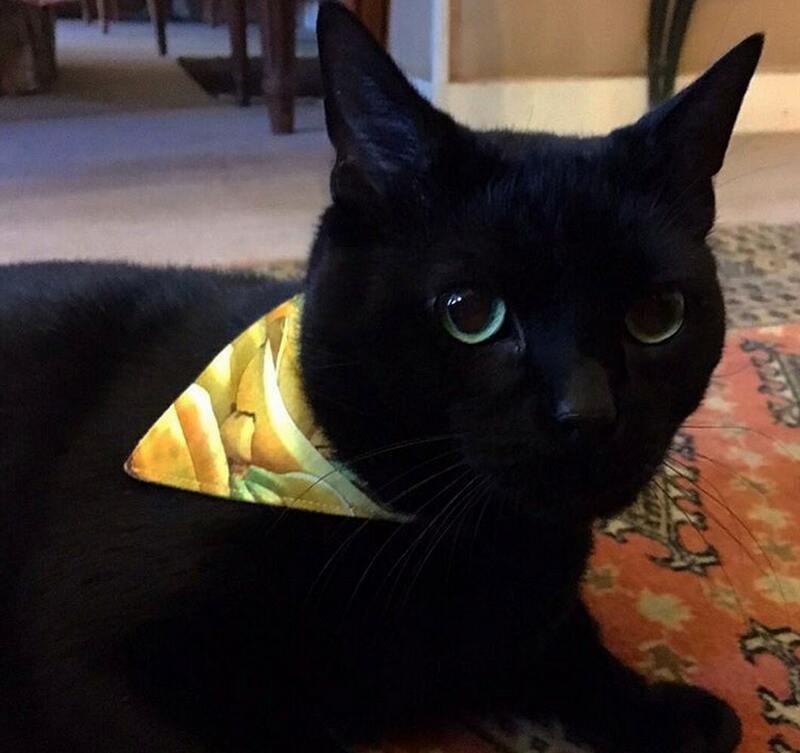 This amazing Bananas cat bandana is hand-sewn in a luminous funny fabric. 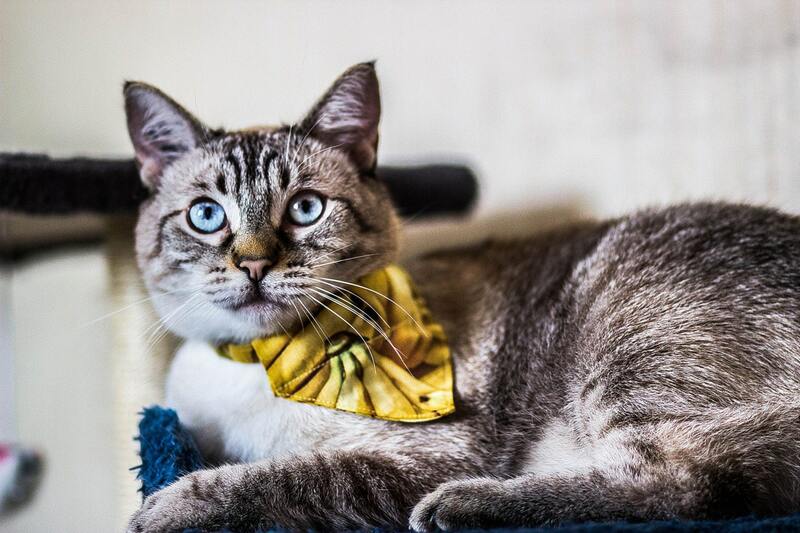 It is the fashion accessory that will make your cat the cat you want to be. 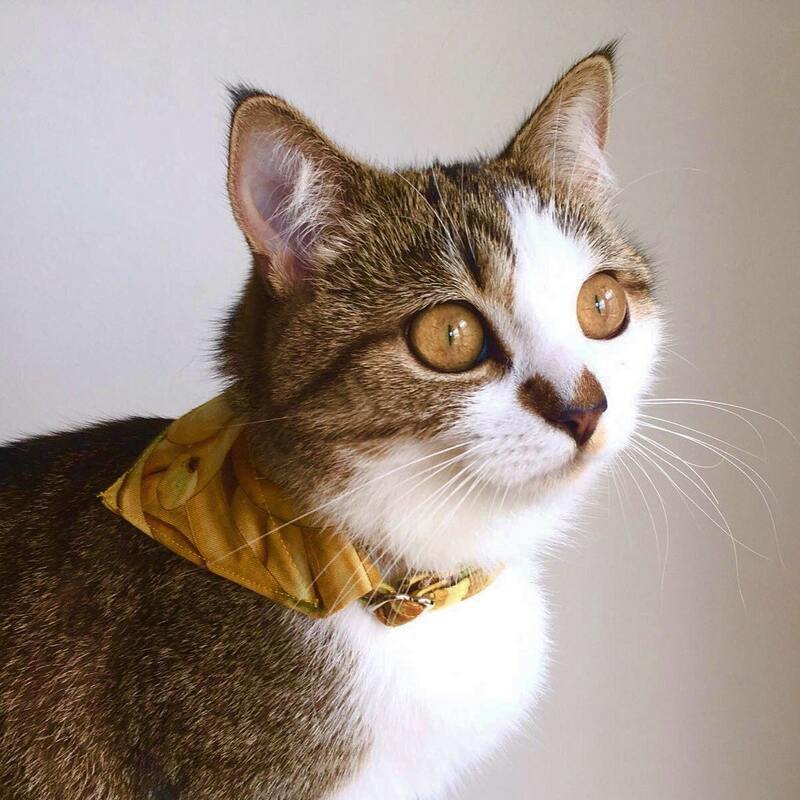 The cat that turns heads when he/she crosses the room, the cat who inspires respect but which, at the same time, you want to be friend with, to shine with him in the light of his dazzling charisma. 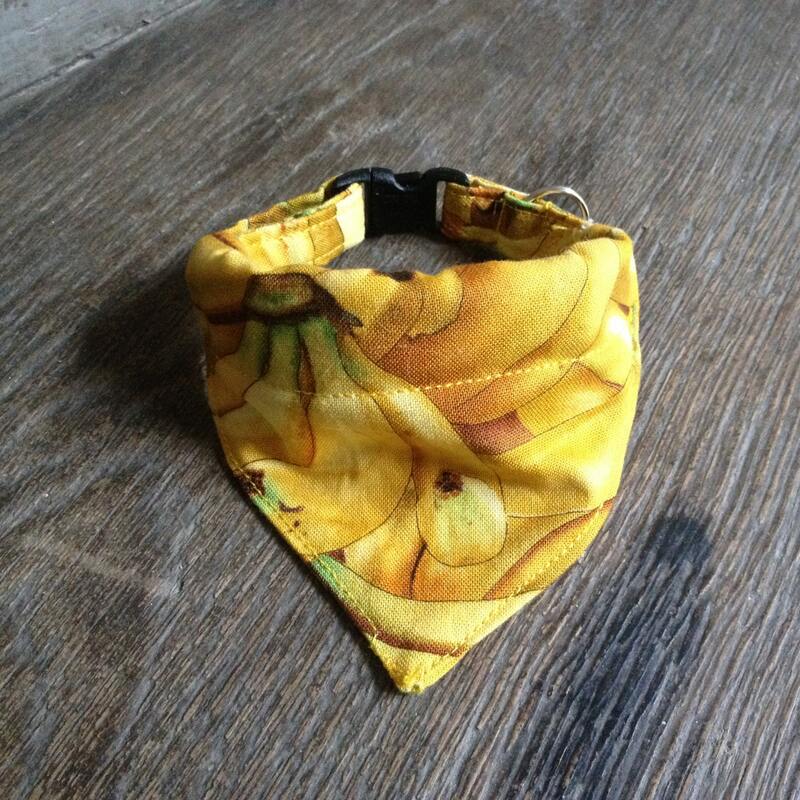 This bandana can be slipped on every 3/8" wide cat collar.